Americans favor legalized gambling -- which would be a springboard to millions in revenue that the state desperately needs. Fifty-five percent of Americans support making gambling on professional sports legal in all states, according to poll results [see below] released Tuesday. Such gambling is currently legal in Delaware, Montana, Nevada and Oregon, although pollsters found it is fairly common — one in five Americans surveyed had placed a bet and 73 percent of those who did so said it made watching the games more interesting. 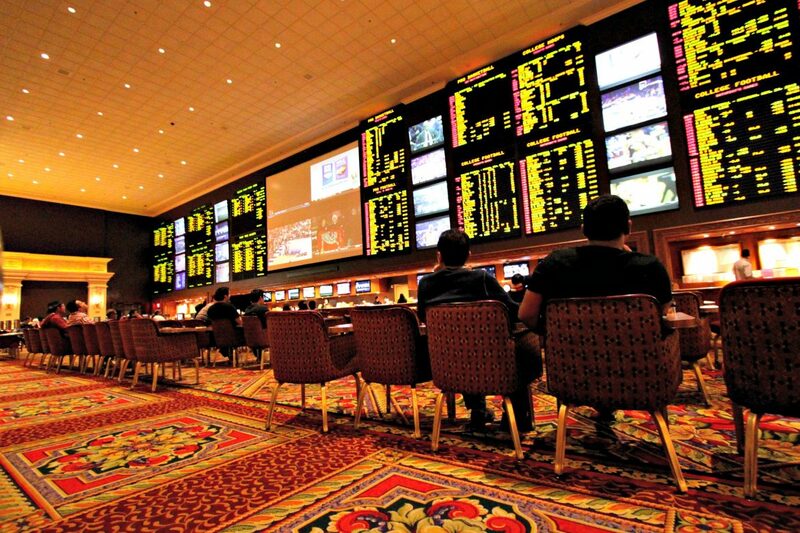 The UMass Lowell-Washington Post poll found 33 percent of respondents disapproved of allowing gambling on professional sports in all states, and another 12 percent had no opinion. Pollsters conducted live interviews with a random sample of 1,000 American adults. The interviews were conducted in English and Spanish via cellphones and landlines from Aug. 14 through Aug. 21. The poll’s margin of error is plus or minus 3.7 points. According to UMass Lowell, 56 percent of respondents to a 1993 Gallup-CNN-USA Today poll opposed legalizing sports betting. Asked their favorite sports to watch, 37 percent said football, 11 percent basketball, 10 percent baseball, and 8 percent said soccer. Auto racing and ice hockey were tied at 4 percent. Twelve percent of respondents answered “none” or indicated they don’t watch sports. The poll found 16 percent of sports fans have participated in fantasy leagues, and less than a quarter of those who participated did so through daily fantasy sports sites like DraftKings and FanDuel. “Compared to overall sports gambling, daily fantasy sports appears to be just a drop in the bucket,” said Dyck. On Beacon Hill, where lawmakers and the Baker administration have been coping with slow tax revenue growth, the idea of legalizing pro sports betting has not been in play, although it did surface in the 2009-2010 race for governor. In 2009, Republican gubernatorial candidate Christy Mihos came out in favor of legalizing wagers on professional and college sports, saying the industry could boost the sagging state Lottery and flush cities and towns with over $1 billion annually. The state should sanction sports betting through the Lottery, Mihos said at the time, calling it a fast mechanism to boost local aid. “We could do this very quickly and solve the revenue problem,” Mihos said, speculating about a $400 billion industry when both legal and illegal bets are considered. Massachusetts lawmakers have shown little interest in Treasurer Deborah Goldberg’s call for the Lottery products to be sold online, a move the Lottery says is necessary to entice younger players and prevent a downturn in one of the major sources of local aid to cities and towns.